Every night Coral’s wonderful live casino hosts invite lucky players to take part in offers with cash prizes. This promotion has run once before but this time it’s back and with double the amount of offers. Significant Terms: 18+. Play Exclusive Live Casino between 16:00 – 23:59 UK Time. Min £10, max £100 cash prize. Offers announced to table. All players seated eligible for offer. Offers vary. T&Cs apply. 18+. Play Exclusive Live Casino between 16:00 – 23:59 UK Time. Min £10, max £100 cash prize. Offers announced to table. All players seated eligible for offer. Offers vary. T&Cs apply. Side Bets Happy Hour – Place at least £20 in side bets during one hour and if you make no winnings on them, you’ll be handed £20 cash. Blackjack Fever – Get dealt a Blackjack within the next ten hands and receive £10 cash. Second Chance – Enjoy a £20 cash consolation prize if you lose three consecutive hands. Hot Streak – Win five hands in a row and have your winnings topped up by £50 cash. The Host’s Choice Blackjack – The host will name a certain card combination (e.g. pair of sixes, flush etc. ), be dealt that in the next 10 rounds for £50 cash. The Host’s Choice Roulette – The host will choose a number on the board and during the following 10 minutes, if the ball lands on that number, £200 will be shared proportionally between anyone who made a bet on that spin. As you can see, all prizes handed out via this promotion are cash and therefore there are no wagering requirements. Coral’s live casino hosts aren’t stingy when it comes to activating these offers but they will be introduced at completely random intervals during the hours of the promotion. Players are able to win more than one prize a day, or to win the same prize several times. There is a daily cap of £100 during any promotion day however so once you’ve reached this amount you’ll need to wait till the next day before you can claim any additional prizes. Within one hour or qualification, your winnings will go straight into the cash balance section of your account. Be aware though that your cash prize does need to be accepted within two days of being credited, otherwise it will expire. If you are looking for a place to try out live casino games such as roulette and blackjack, this deal makes Coral Casino a fantastic place to try out. Not only will it add a little extra fun to your experience but the range of cash prizes available should provide you with more bang for your buck. Deposit just £10 at Coral Casino and you’ll receive an additional £50 in bonus money to play with. Check out our main Coral Casino Offers page for details. Important info: 18+. New Players only. Min £10 buy-in to get £50 bonus. 24 x (Bonus) wagering reqs apply. Bonus valid for 30 days (bonus and winnings removed). Certain games excluded. Bets covering 67% or more of Roulette table don’t count to wagering. T&Cs Apply. Details of promotions, bonuses and offers are correct at time of publishing and are subject to change. T&C Apply. 18+ Please Gamble Responsibly. Please Note: this site contains affiliated links. 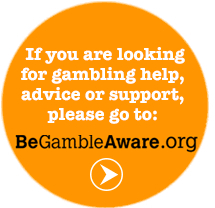 If you open a casino/games account via a link on this site, it may result in us receiving a payment. We have donated 10% of our profits to charity every year since 2010 and will continue to do so.